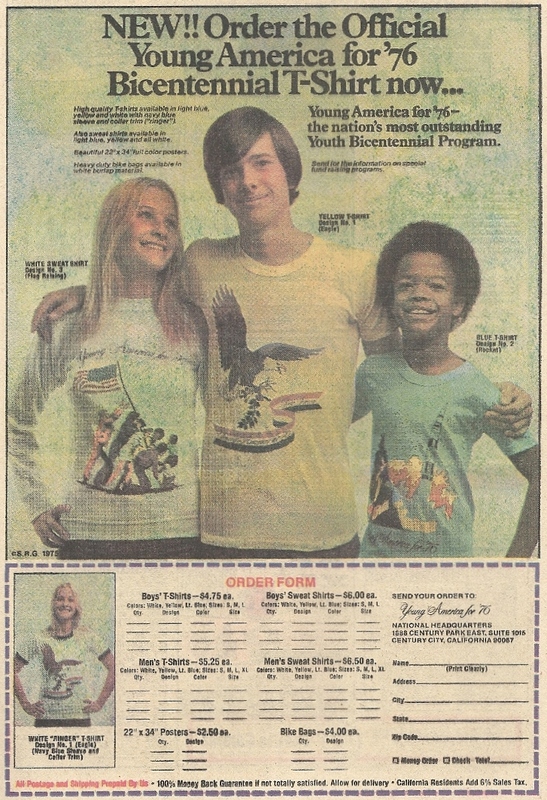 If a mixture of X and Y chromosomes and skin colors could teach the world to sing, then this ad for dopey bicentennial t-shirts would be a start. Why, it’s so kumbaya-ish you almost expect a Coca-Cola commercial to break out. Also, is the black kid a young(er) Willis from Diff’rent Strokes? Or do I not know what I’m talkin’ ’bout?